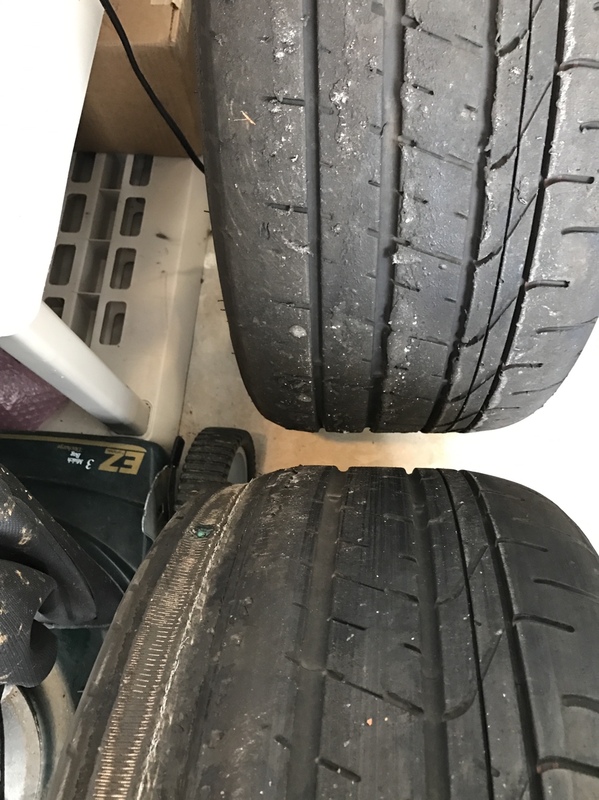 Please tell me what's up with these tyres. The wear looks all sorts of messed up. Like why are the inner 2 inches down to the belts but nowhere else is? Context, tyres and wheels are OEM rears but running on the front. 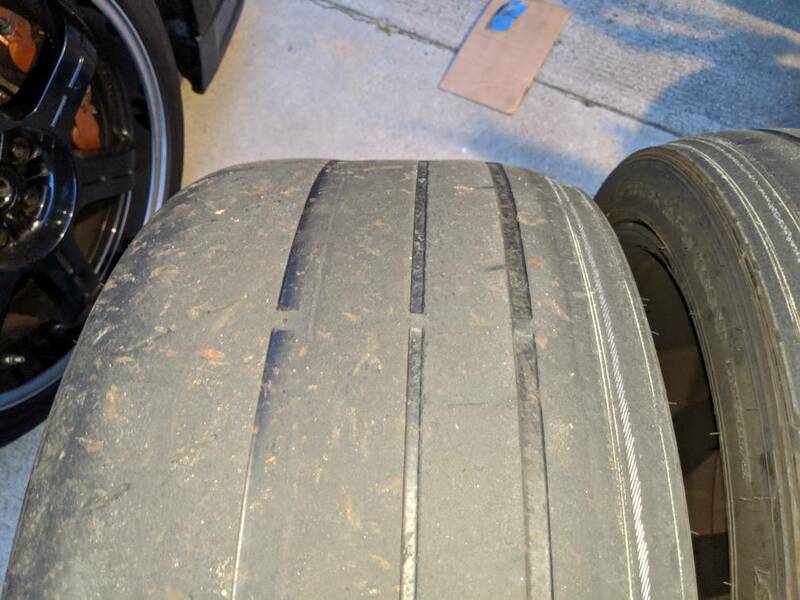 They've done 1.5 track days at Buttonwillow and were new in Feb 2018 and have done 3500mi since new. The alignment is from a local shop, maxed out front negative camber with OEM gear (so lower control arm adjusted full out). looks like that can give you the weird middle part. Too much toe in/out. Front should be set at 0 toe for track use. Your shop probably set some toe-in for better highway manners, which will burn up the inner edge when combined with lots of camber. Elf, what's your alignment now or what do you prefer? I’ve been doing my own alignment on the racecar for a couple of years now, playing with different setups. I have learned that the optimal setup differs from one track to the next so I’m always making changes before each weekend. R compounds (Hoosier R7, NT01, R888) would fall somewhere in between. 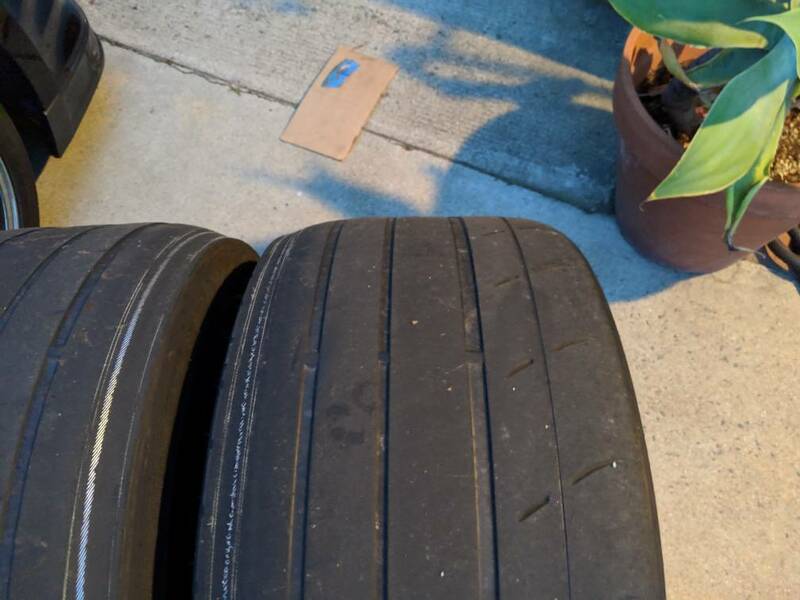 I need to get a set of tire pyrometers and use them when the car comes off track. That’s the next step! Setup is from a race shop, has a decent amount of toe out I think. It's rather squirrely that's for sure. I'll get it set to 0 toe next time. 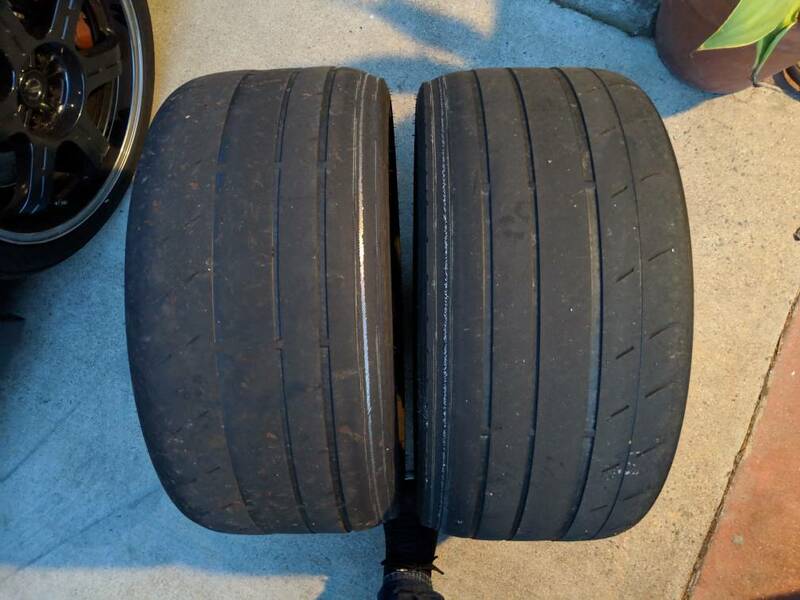 Any other advice, other than rotate the tyres a bit more often? Upper control arms with more castor I think is in order. 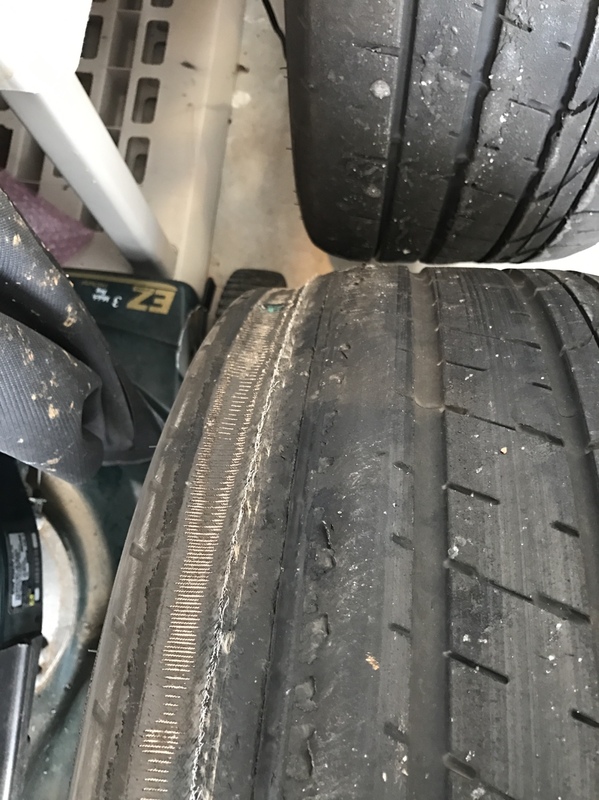 For OEM "track" settings, that's pretty normal tire wear for the GT-R. Elf's settings may get you more usage, but that's pretty good. Oof! Now I don't feel as bad. Thanks! Looks normal to me? I have the same wear on the front axle like that after 32000km street. Edited by Enshiu, 12 April 2019 - 10:29 AM.